The north of Thailand is a beautiful part of the country. 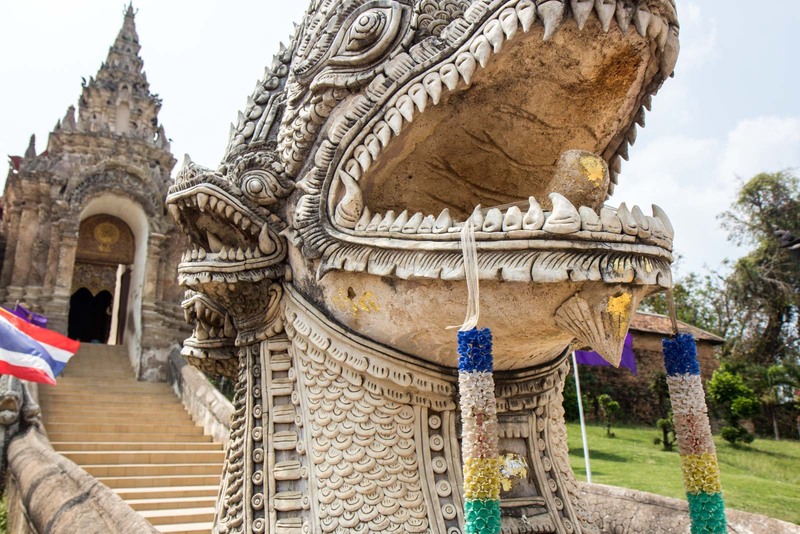 A lot of tourists head up that way on a trip to Thailand – but most don’t venture far from Chiang Mai or Chiang Rai. If you feel like a bit of a road trip, though, you can discover a lush world of nature, markets, temples and art. The way of life is much slower here and it’s nice to take your time and see some things that are slightly off the beaten path. 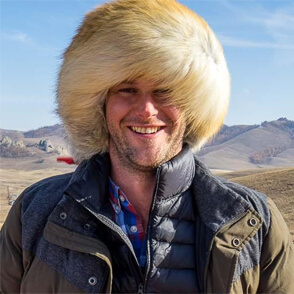 You won’t meet too many other tourists but the locals will welcome you in and be enthusiastic about showing you their local culture. One great road trip that takes a few days with stops is from Chiang Mai to Nan. From Nan, you can fly back to Bangkok or on to another part of Thailand. To help you plan a journey like this, I’ve put together a list of things to see along the way. The Tung Kwian market is the first stop you’ll come to, just an hour out of Chiang Mai. It has a fantastic collection of produce from the jungle as well as local artisan products. You can try all sorts of fried bugs and worms or go for something a bit safer like the traditional spicy pork sausage. The market is aimed at local people but they welcome tourists and will help you buy some of the strange food that’s on offer here. Wat Pong Sanuk is a beautiful temple that received the UNESCO Award of Merit in 2008 for the efforts of the local community to preserve the compound. 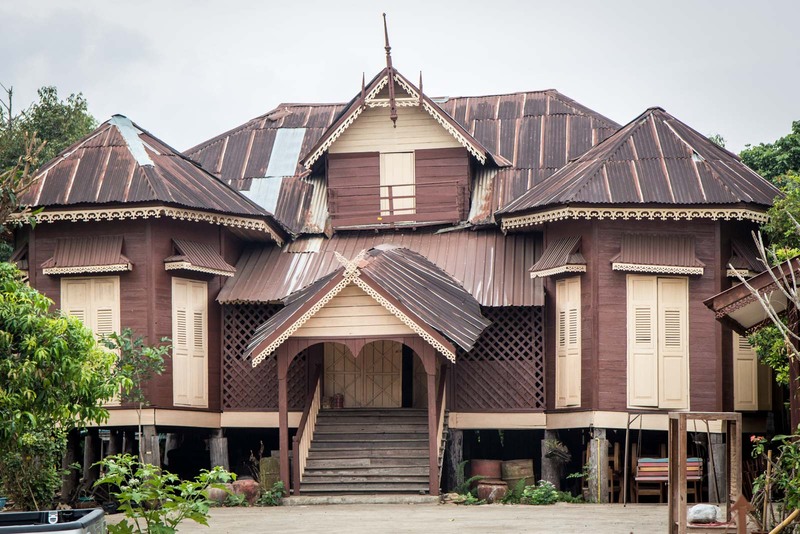 The temple was built in the late 19th century by wealthy Burmese immigrants and has noticeable religious influences from Thailand’s neighbour. It is not a large temple compound but has some very detailed artistic elements. Wat Phra That Lampang Luang is considered to be the most beautiful Lanna temple in northern Thailand and is impressive for not just its buildings, but also the treasures it contains. It was built in the 1400s and is a large complex with several different sections. One of the highlights is a small emerald Buddha, which is kept behind a cage. You should also see the cool ‘camera obscura’ effect where an image from outside is projected naturally into one of the buildings. Be sure to leave at least an hour to see it properly. 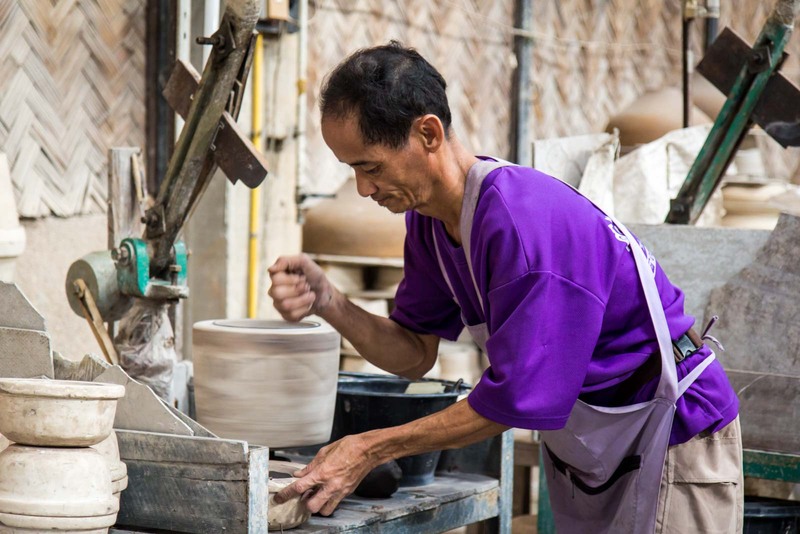 Just up the road from the temple is a wonderful ceramic factory where hundreds of pieces are made each day. You can see each of the steps of production from clay to painting – all of which is still done by hand. The large factory is a simple affair but offers a good insight into one of the local forms of art around Lampang. 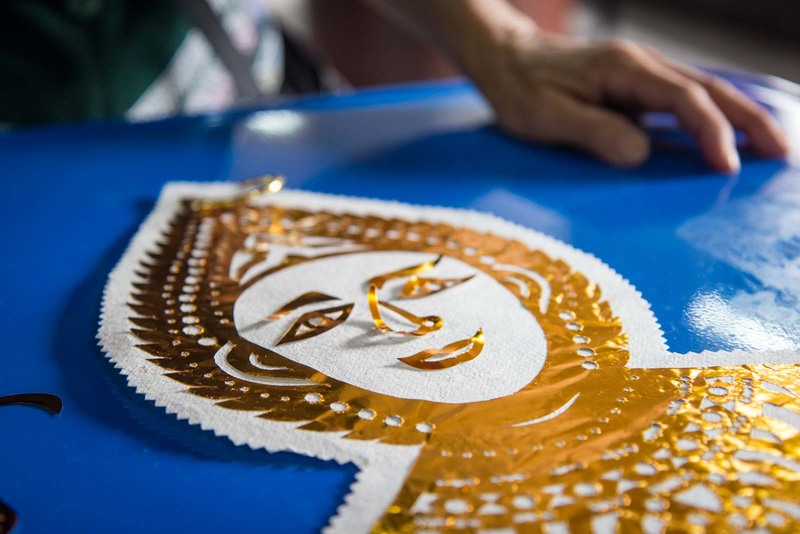 Another of the local art traditions in this region is the Tin-Chok weaving, which is always presented with high-quality work and beautiful intricate designs. 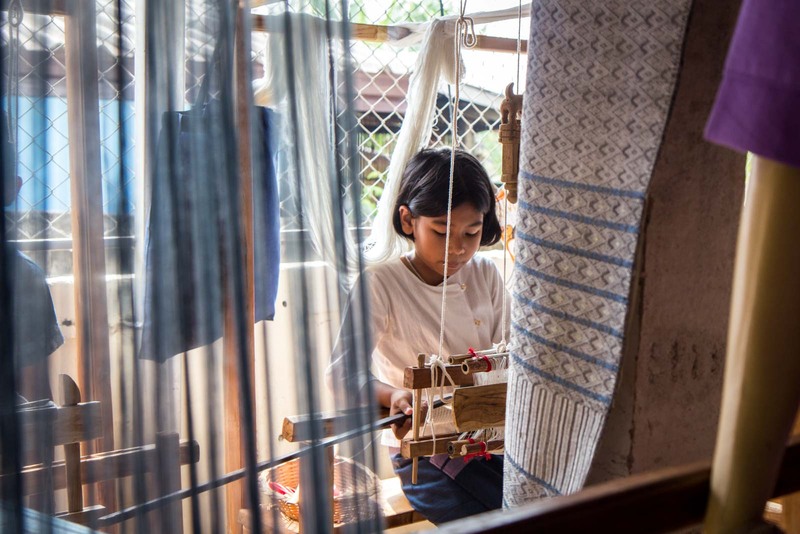 The Fabric Weaving Village in the Long district of Phrae is the perfect place to see some weavers in action and learn more about the craft. There is a display of different styles of designs and a small shop where you can buy some pieces for yourself. The small town of Ban Thung Hong is worth stopping at to see the local fashion, which looks like a cross between denim and a hippy’s t-shirt. 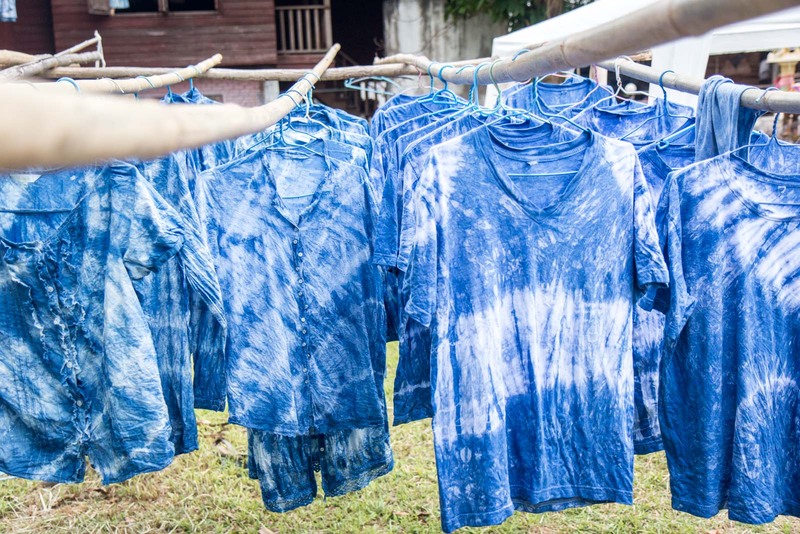 The local product here is clothing with designs created with an indigo dye. The dye is made naturally from a local plant and the patterns are then boiled or painted onto the material. There are plenty of shops along the main street selling clothing and you can see them being made for yourself (or even make your own design). 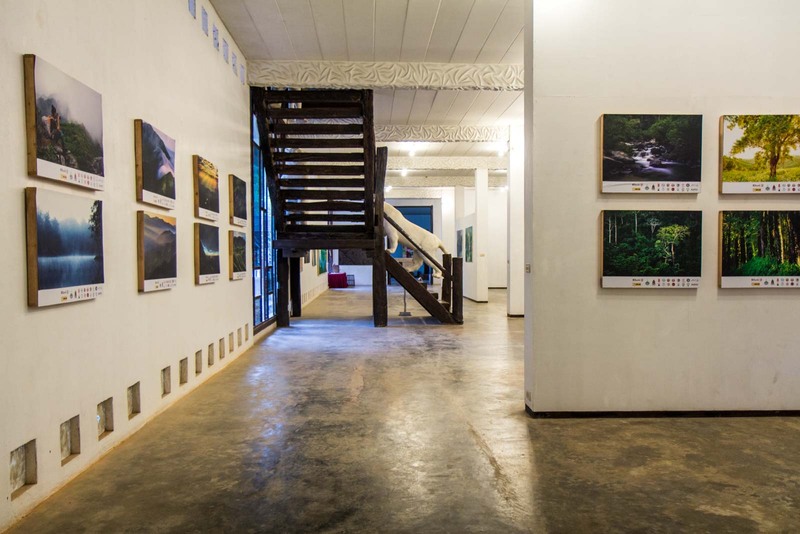 This is not the kind of art gallery you expect to find in rural Thailand but it has a wonderful collection of artworks. 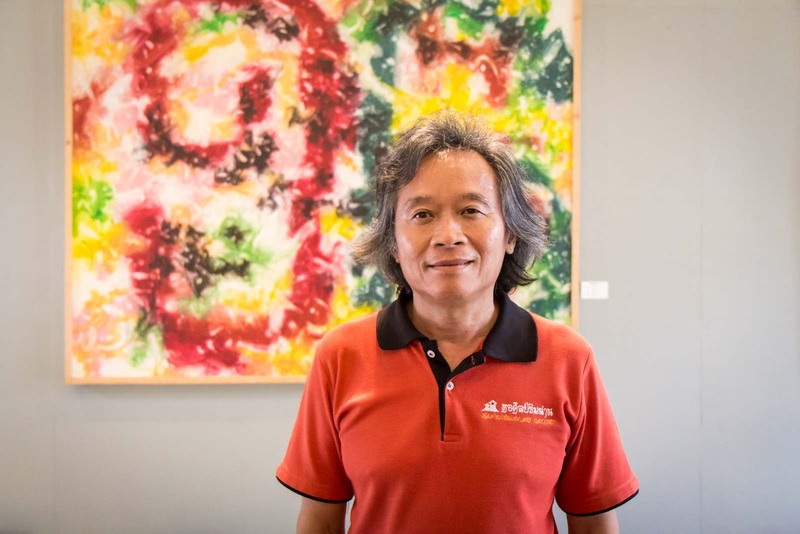 It was founded by a famous Thai artist called Winai Prabripoo, who is often on the site to show you around. There are temporary exhibitions displayed on the lower floor and then a permanent collection upstairs. A couple of smaller galleries in adjacent buildings also have different styles of work. Be sure to look for the pieces made by the Thai princess and donated to the gallery. 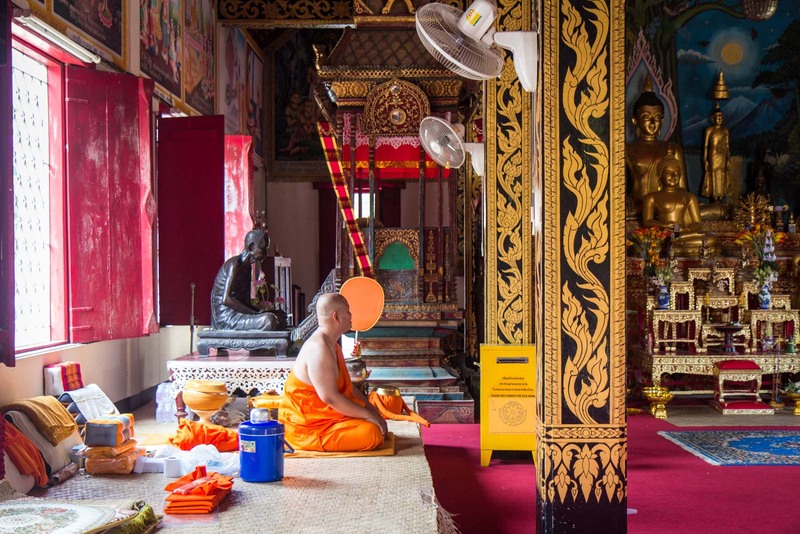 If you’re staying the night in Nan, it is worth getting up early to see the monks collecting offerings in the morning. They walk along the road outside the main market from about 5:30 in the morning. You can offer them some food yourself and get a blessing or you can just watch the action take place. The market itself is busy this time of the day and is an interesting sight even without the flow of robed monks outside. Once you are up early to see the monks outside the market, it is worth driving to Wat Phra That Chae Hang for the sunrise. 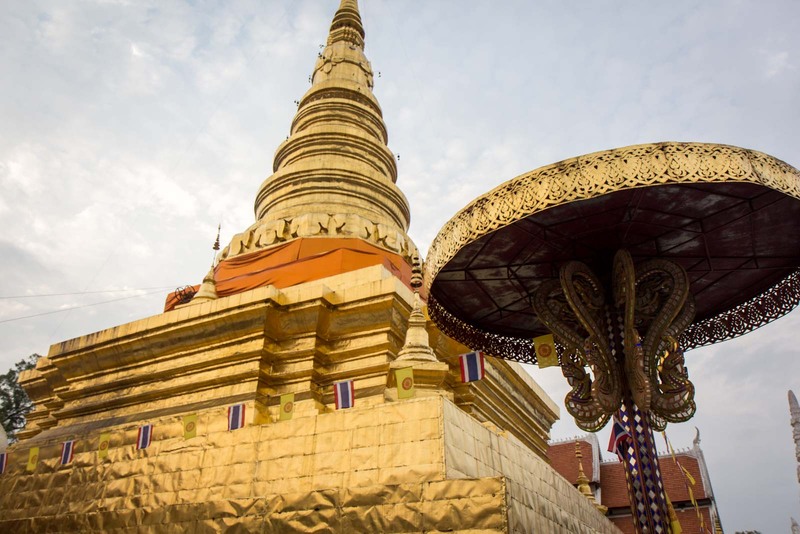 It’s a beautiful temple with a large golden stupa. At this time of the morning there will probably be no other visitors so it will be lovely and serene. As the sun rises and hits the golden decorations, there’s a wonderful colour and glow across the site. There are lots of sights to see in Nan but they are not all close together. One way to get a good sense of them is with a Nan city tour by trolley. The tours leave from the main tourist information centre in town. You’ll stop at a couple of the main temples and, if you’re lucky, there will be some primary school students there to explain to you some of the history. Once you’ve got a general sense of the city, you can then go back to any particular sites of interest. 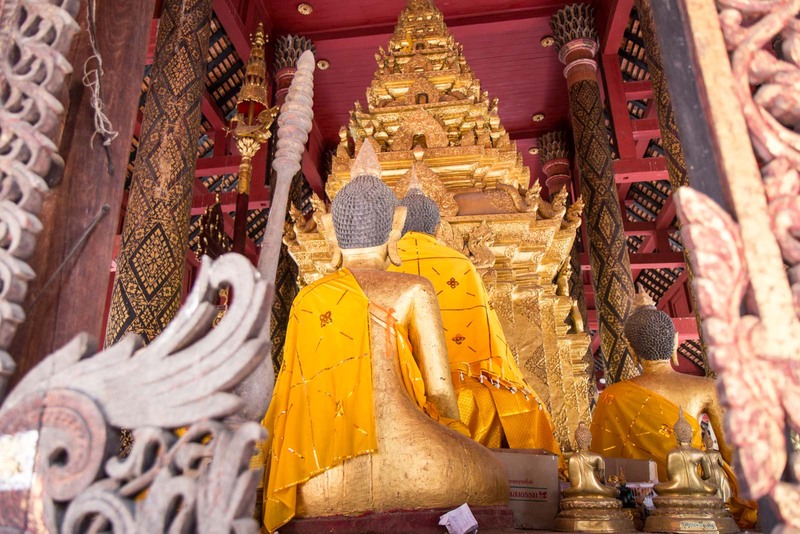 The last stop I want to recommend to you is a temple called Wat Phra Gerd. This is unlike all the other temples I’ve recommend so far – there’s something particularly special you would go for. 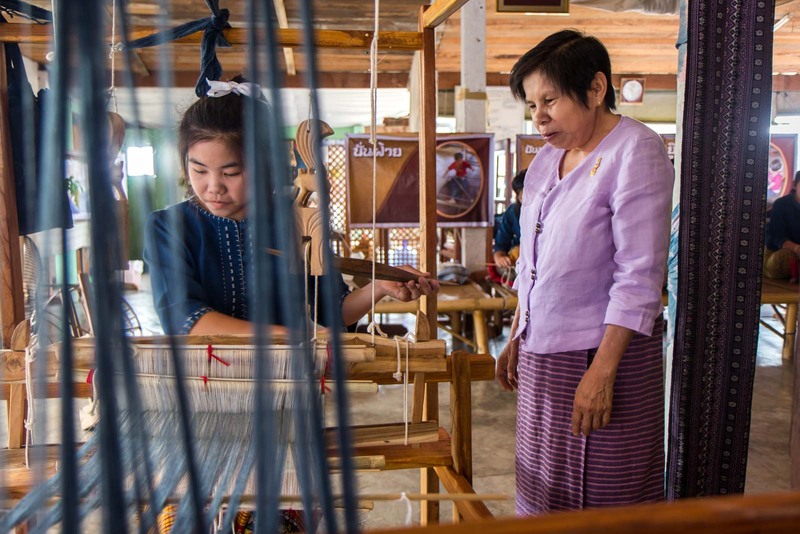 The staff here will help you make a traditional Buddhist flag called a ‘tung’. This flag is supposed to look like you and so you’ll glue a face into it and then put the animal that represents your birth year. 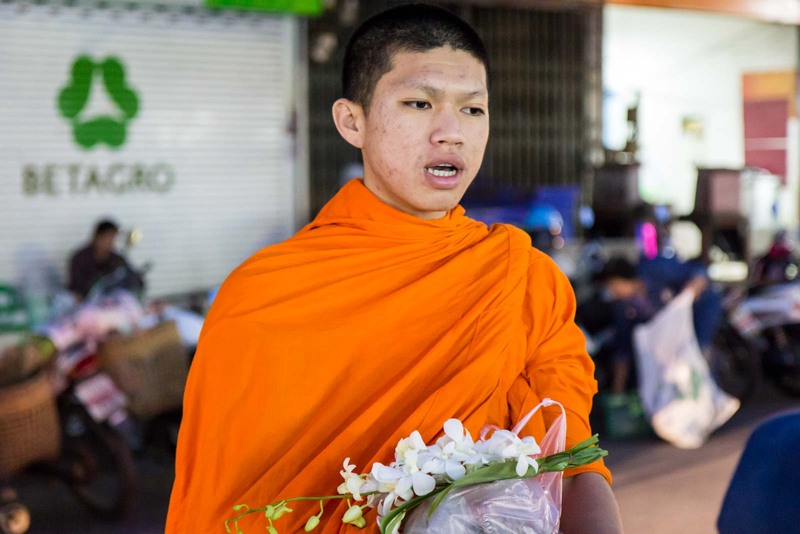 When you’re done, a monk will bless the flag and hang it on the wall of the temple. It means every time there is a ceremony in the room, you are there by proxy. So there is my list of suggestions for the drive between Chiang Mai and Nan. 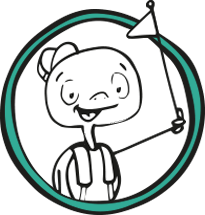 Of course, there are other things you will find along the way and doing some independent exploring is part of the fun. 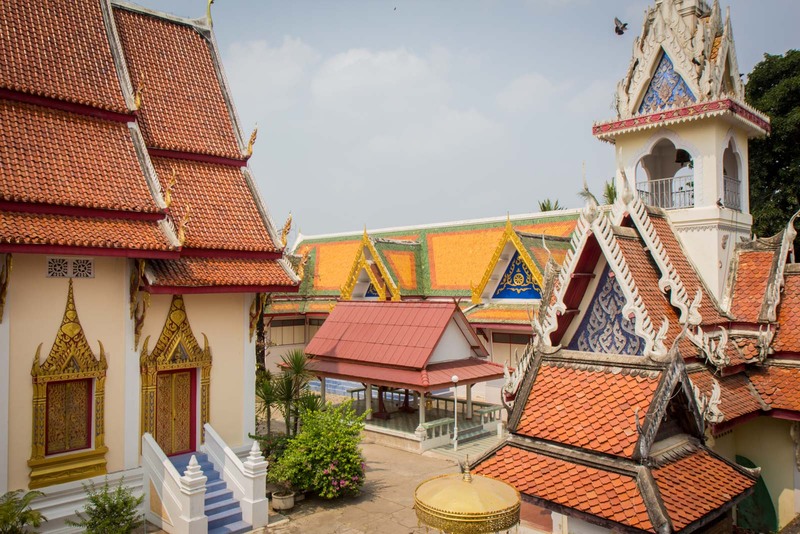 There are plenty of accommodation options in all of the main cities and the food at the local restaurants is everything you would have come to expect from Thailand. Please let me know if you give this trip a try and drop me a line with any further questions you might have. Time Travel Turtle was a guest of the Tourism Authority of Thailand but the opinions, over-written descriptions and bad jokes are his own. Thanks, Dwight. It’s a beautiful part of the country and plenty of nice things to capture. Looks well worth a visit, done Chiang Mai already, but would to visit a few of the more remote place such as Nan and Pai. I think it’s a nice way to get away from the tourist crowds. I remember going to Chiang Mai about 15 years ago and it was quite a fun place. These days, though, I hear it’s changed a lot. Places like Nan and Pai are a good way to see some authentic Thai towns. Thanks for your information. I will come to Thailand in March 2017 with my family. however never left a remark. Will share this on my Twitter page. Michael, how did you travel from place to place? I’m hopeful there’s a local bus or train or camel, because there’s no way I’ll get the old guy to drive a hire car!! Very nice article and useful info! What about an accommodation in Chiang Mai? I have noticed that many hotels and guesthouses in Chiang Mai have this annoying limitations: “only registered person”allowed… soon they will add a notice: “Thai lady is not allowed” next to “pets are not allowed”. I think that if a hotel lets a customer book a room with a double bed, then the hotel should allow the guest have another person stay in their room together with them. I understand that there been cases of damages and stuff have been stolen, but this can be minimized by explaining to the customer who booked the room, what are the risks, and notifying them that they are responsible on behalf of their casual visitors. Anyway, here is an alternative: a condo or one bedroom apartment in a really attractive rate. There, nobody would bother them and you can host another person in your private space.